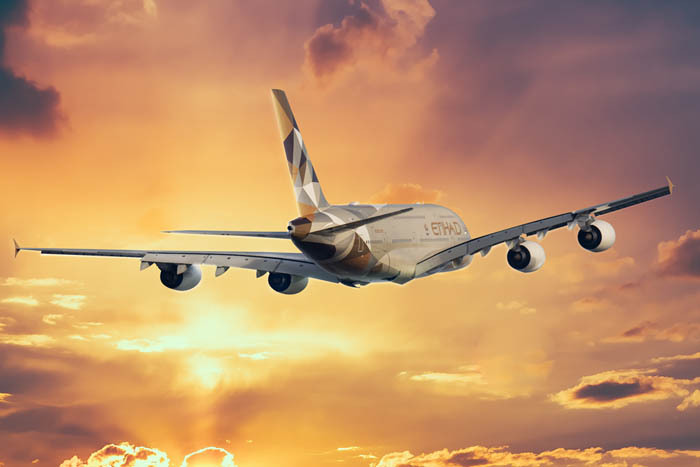 Etihad are committed to making sure that every time guests fly, their journey is truly remarkable. With constant innovation and re-thinking the small things that make big differences to the way guests fly. Etihad continues to innovate flying, with a pioneering spirit and traditions of hospitality, drawn from their home Abu Dhabi, to create contemporary living spaces in the air and deliver unparalleled comfort and service. Etihad Airways offers three daily flights from London and twice daily from Manchester to Abu Dhabi and beyond. 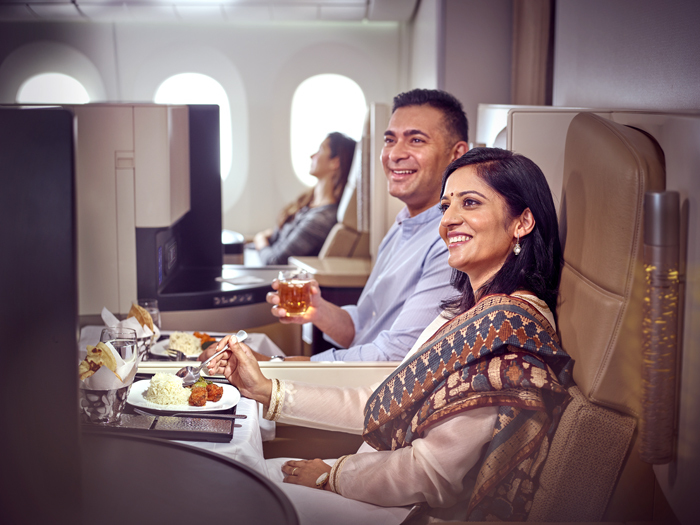 Whether you choose to fly first, business or economy class, you will experience the newest aircraft, latest entertainment systems and finest on-board dining. 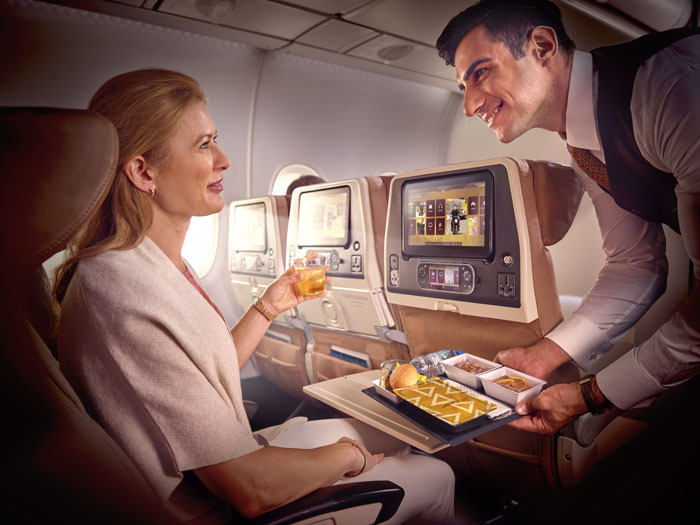 Imagine a place where you can relax in total comfort, enjoy the best in-flight entertainment, sample a selection of fine international cuisine, and experience warm Arabian hospitality. Welcome to Etihad’s Economy Class. Unique headrests (A380/787), neck pillows and soft fleece blankets for a more comfortable sleep. A generous recline with enough legroom to relax,in our range of Economy Class seats. In-flight entertainment with hundreds of hours of the latest movies, TV shows, music and games on an 11-inch touch-screen TV. In-flight meals with options for everyone, including a choice of three main courses and a vegetarian option as standard. Business Class with Etihad is not business as usual. We have created spaces where guests can work, rest and play. A luxurious and comfortable way to travel whether you are travelling on business or on holiday. Comfortable seats, with in-seat massage facility, adjustable headrest and footrest, and on our A380/787 Dreamliner, adjustable seat firmness. Guaranteed fully-flat beds of up to 6 feet 8 inches with direct aisle access on long haul flights. Dine Any time menus mean you can eat at a time that suits your schedule. A Food & Beverage Manager to guide you through the extensive menu options and make wine and beverage recommendations. We have taken the finest details of refined luxury from around the world and crafted a truly remarkable First Class experience. As a First Class guest, every element of your journey has been re-imagined to make sure you experience the greatest levels of comfort. Total privacy as you close your sliding doors to enjoy the most personal of spaces. Open the divider to join Suites/Apartments (A380) when you’re travelling together with a companion. In-flight Chef ready to personalise a menu just for you, at a time that suits your schedule. Premium noise cancelling headsets to watch the latest movies on a screen of up to 24 inches. A personal refreshments cabinet in your Suite/Apartment. Turn down service with stylish lounge wear, all natural mattress, duvet and bed linen, soothing pillow mist and pulse point oil. To book your next flight on Etihad Airways call us now on 020 8582 1188 or book online.